During 2017, the Community Foundation of South Puget Sound awarded $430,000 to 80 nonprofit organizations through our Community Grants program. The program is made possible by generous donors who have contributed unrestricted and broadly defined area of interest gifts which allow the Community Foundation to respond to our communities' changing opportunities and challenges over time. 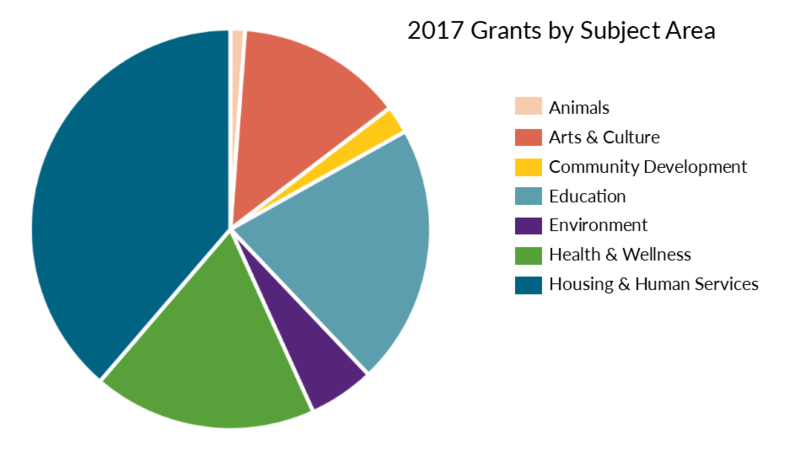 The following is a list of the 2017 grant recipient organizations and programs categorized by subject area. YWCA of Olympia, Girls Without Limits! Puget Sound Estuarium, Exploring our Estuaries - Inside and Outside!